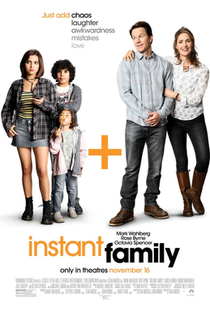 Instant Family may be a comedy and directly marketed as one, but I have to say that the promotional material and trailer did the film a disservice, since it's a lot more heartfelt and has more dramatic weight than you'd expect from a film of this type. 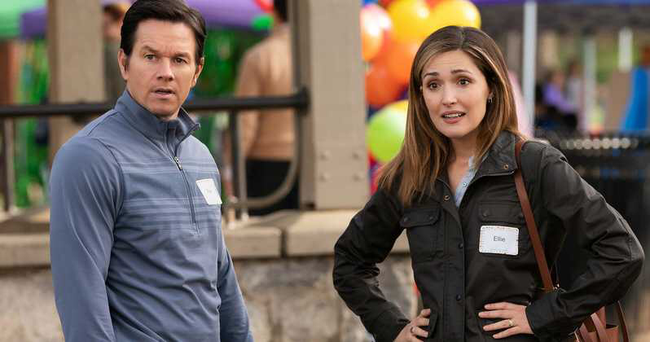 Mark Wahlberg & Rose Byrne star as a married couple who decide to adopt an unruly teenage girl and her younger brother and sister, both of which are a handful to parent, made even more tricky when the children's drug addict mother makes a motion for them to return to her care. The two main stars do their usual, and while their performances are decent, they are definitely upstaged by Isabela Moner as the troubled teenager. Some of the jokes also fall flat, and while there's some moments which will provoke a laugh or two, it's a film which can be enjoyed more as a lighthearted drama. The plot claims to be based on a true story, but that's usually a red flag that more than a few tweaks have been made for artistic licence. Still, it's an easy-to-watch, enjoyable movie which may melt a few hearts by the time the end credits come crawling.